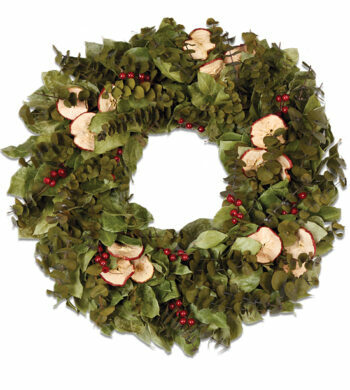 All the enchantment and excitement of a first snowfall is summed up in this wonderful wreath. 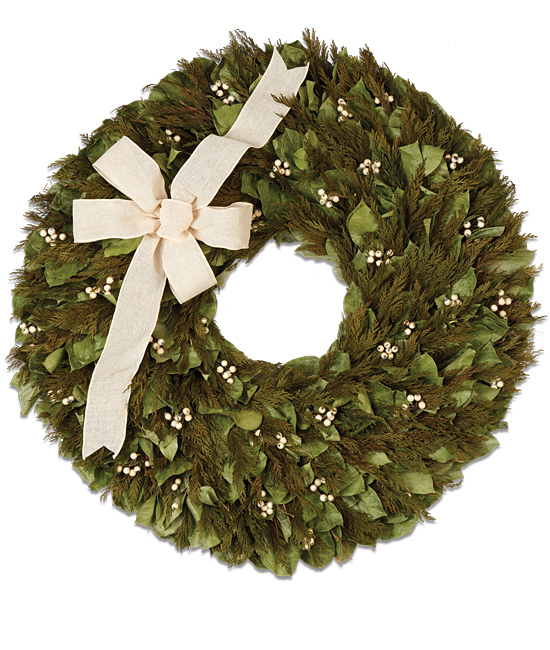 Lush with natural ingredients and grand in size, its extraordinary 30-inch diameter is laden with salal leaves and sprays of cedar, as well as snowflake-like clusters of white hypericum berries. A whimsical white bow tied just so makes it all picture perfect.